We are a leading Manufacturer of gurjan plywood, marine plywood, hardwood plywood, veneer sheets and plywood from Ahmedabad, India. We are dedicatedly involved in offering a wide array of Gurjan Plywood. The plywood offered by us is precisely manufactured using premium grade wood and the latest techniques under the surveillance of dexterous professionals. In addition to this, our provided plywood is getting huge appreciation amongst our valuable patrons owing to its reliability and elegant design. This plywood is available in a variety of specifications for our patrons to choose from. Being one of the noticeable providers, we are affianced in offering an exclusive array ofMarine Plywood. This plywood is accessible in various stylish designs, patterns and finish as per the precise stipulations of esteemed patrons. Our products are extensively acclaimed for their easy maintenance, appealing look and excellent finish. 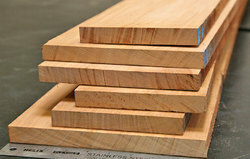 In addition to this, we provide our marine plywood at inexpensive rates. Fostered with rich industry experience and a highly experienced team of professionals, we are offering Hardwood Plywood. The offered plywood is processed by using the modern technology in sync with industry norms. Our plywood is specially used for making splendid furniture. 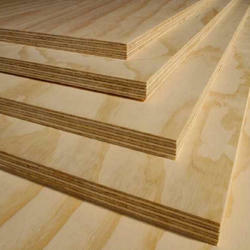 Additionally, this plywood is tested by our experts during the production process. 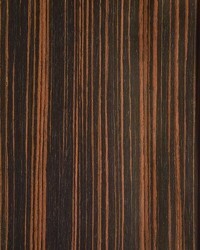 Clients can avail this plywood at pocket friendly prices. We are engaged in Distribution of wide veneer sheet in different range and size according to user specification. They can be used in various applications based on its size and color. For fulfill your needs, we present you a best quality of Plywood. Demanded in various places for making furniture, doors many more, the offered plywood is manufactured using finest quality of material in conformity with international with the help of advanced technology at vendor’s end. 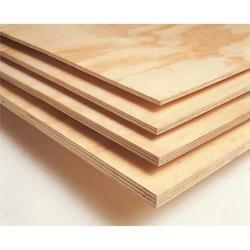 This plywood is offered in various specifications like color, size, and finishes as per the need of customers.